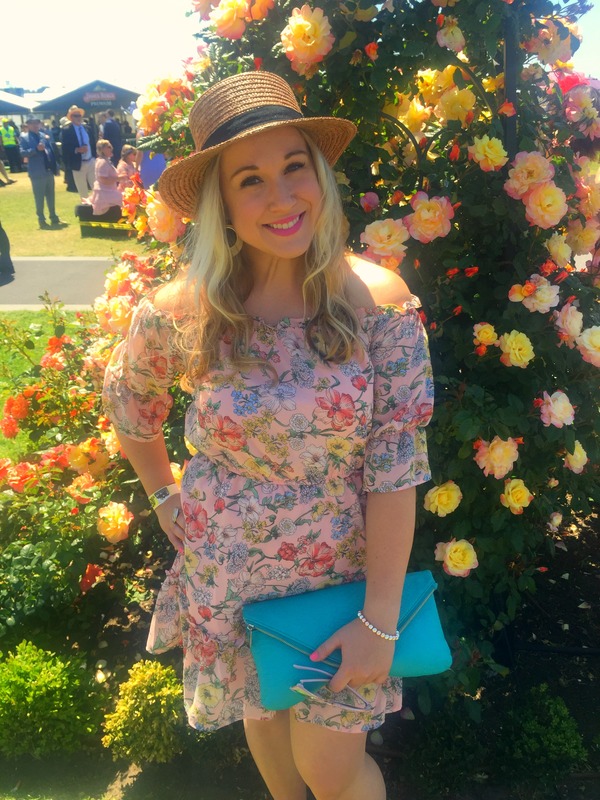 After attending Derby Day for four years running the gals and I thought it was time to switch things up a bit this racing carnival season. 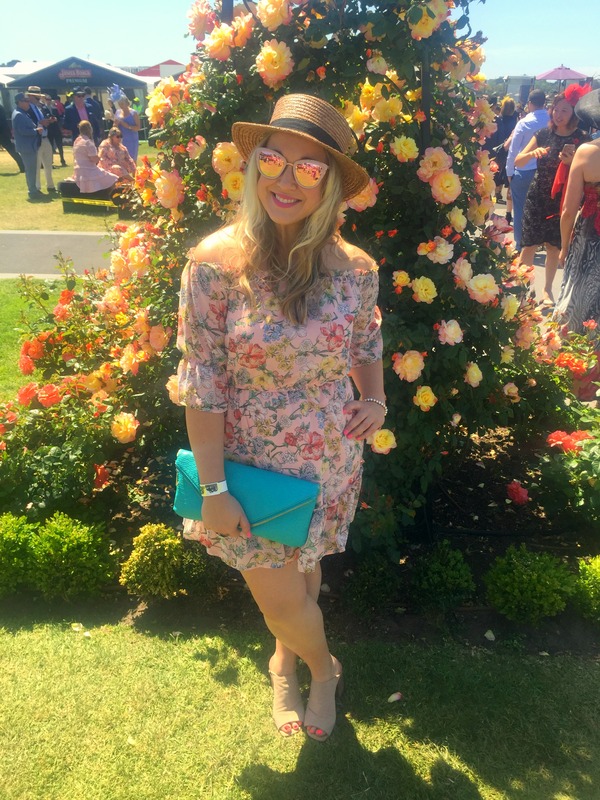 The prospect of being able to add oodles of colour to the mix for Oaks Day, instead of the obligatory black and white as is the rule of Derby, had me champing at the bit (sorry a little horse humour there for ya *ahem*). 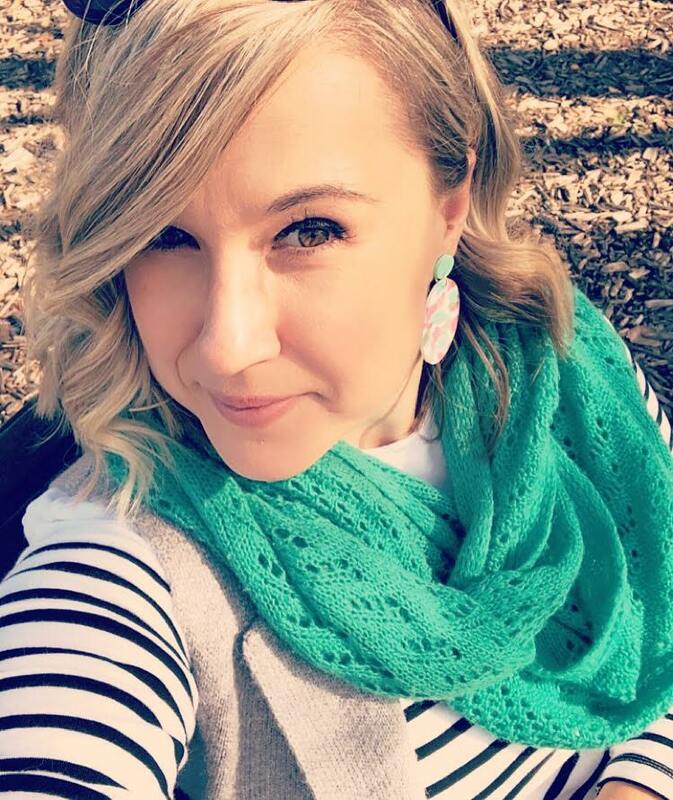 We definitely picked a winner (again, sorry!) with the race day as Thursday was positively gorgeous with the weather being super mild. Perfect picnic conditions! The people watching was also positively on point this year as there was lots of gorgeous ladies with stunning frocks and fascinators out in full force. Trying to take a serious pic and failing dismally! 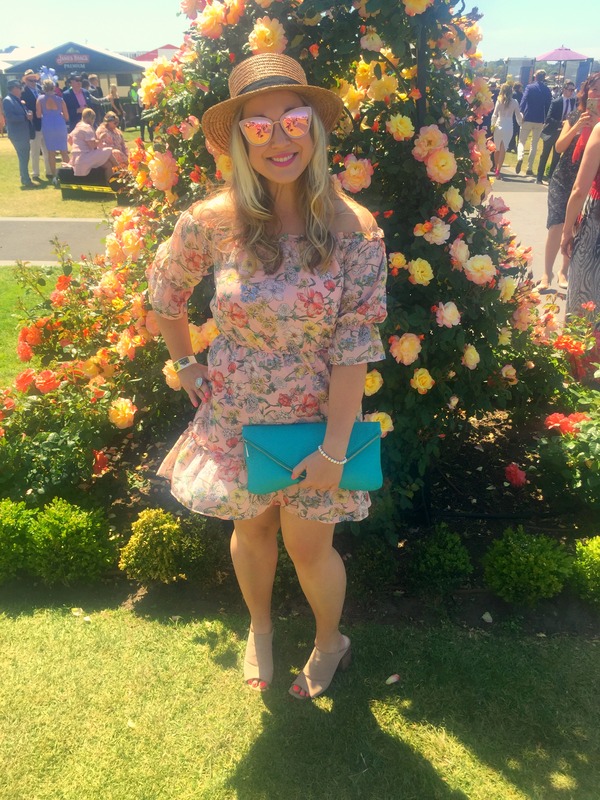 Traditionally Oaks Day is known as Ladies’ Day (or colloquially as Blokes Day because all the lads come to check out all the beautiful ladies) and the theme is pink or lots of spring florals. I wanted to save some moulah this year so I shopped my wardrobe and picked out this cute little summer dress I picked up on my last trip to Vegas. 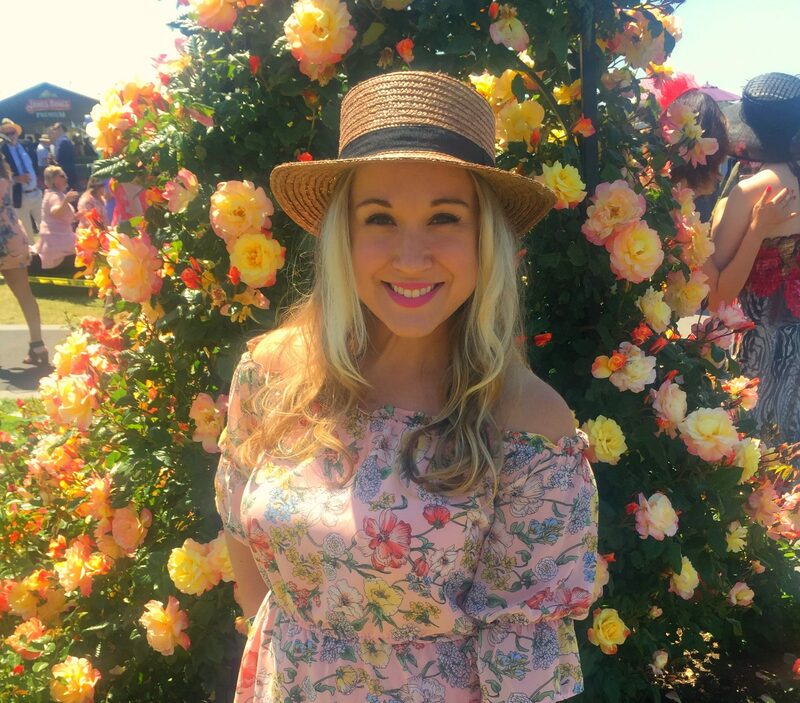 At the same time I bought a flower crown headband but when I pulled it out of storage it didn’t quite tickle my fancy for the ensemble so I went with my trusty boater, going for some Picnic-At-Hanging-Rock-realness. This is a lovely outfit. Are you Australian? Love the look and the boater gives it a cute original twist on the expected. Best on the field!